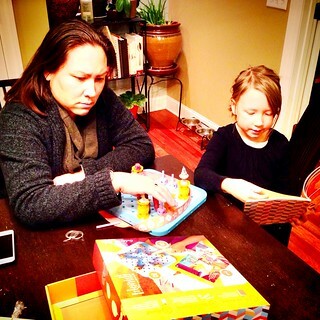 Ainsley received a Goldie Blox from Santa for Christmas last month. We’ve played it together a couple of times. Tonight she asked Angela to play it with her and decided to actually break out the book and read the story (mostly to teach Angela how to do it). I like it a lot. 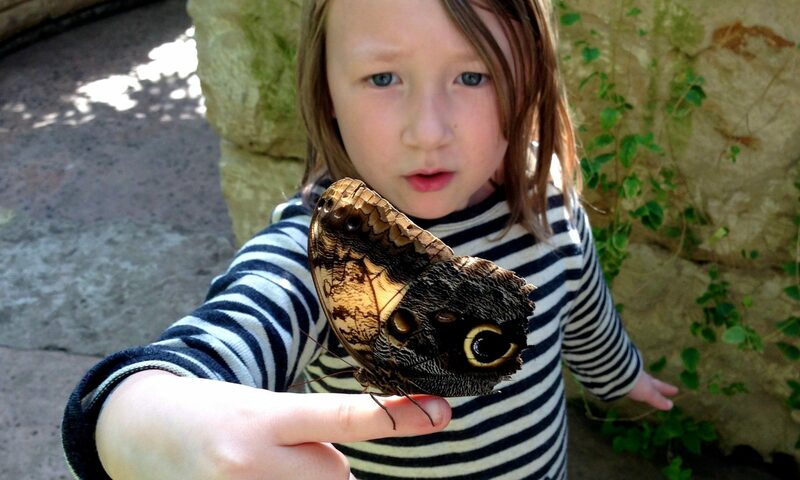 I think a 5 year old will like it because it’s fun & it can spin. And the book is really good. 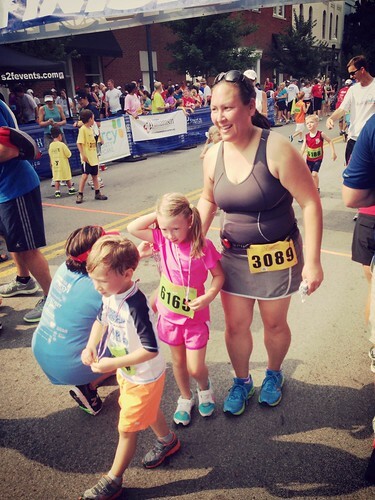 Ainsley & Wyatt ran her first 1k at the Mercy Classic this year. Ainsley ran the entire race on her own. 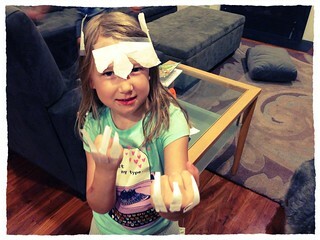 She sneaks into my office, borrows some printer paper & tape, and becomes… Wolverine Girl! Ainsley and I waited in line to meet Tara Strong &emdash;the voice of Twilight Sparkle on MLPFM. Ainsley was being pretty shy about meeting her when we got to the table, but Ms. Strong was very friendly to her, talked to Ainsley in one of her (many!) voices, took pictures with us all, and signed some photos. 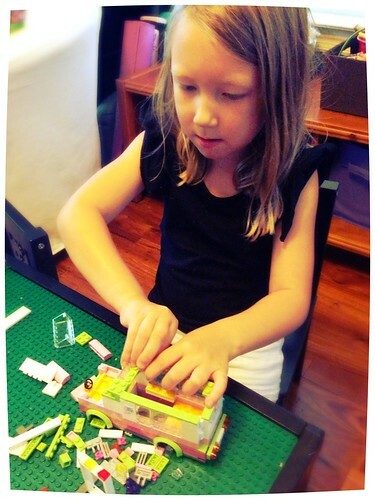 She does like the LEGO Friends (aka, the ‘girl’ LEGO), but she also just likes building random, crazy vehicles & buildings out of any LEGO bricks at her disposal (aka, the actual girl LEGO). 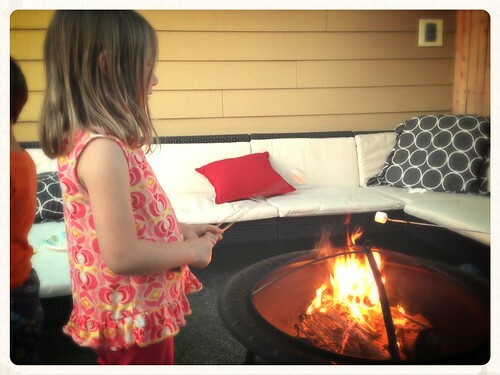 Roasting some marshmallows on our new fire pit out on the patio. 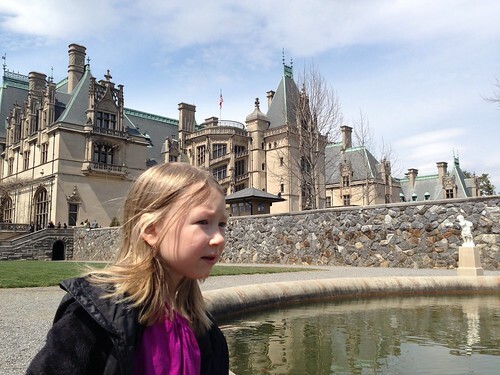 Our Easter weekend trip to Biltmore. Ainsley asked if she could build a project out of wood, with nails. I explained she’d need to make some plans first. 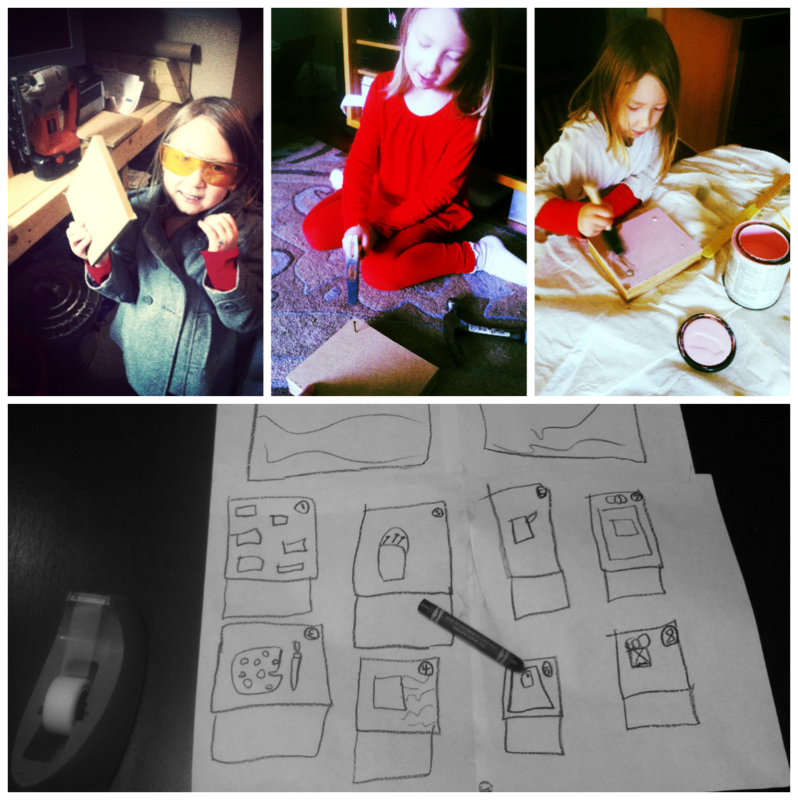 Well, she took it upon herself to plan out the entire project, step by step. 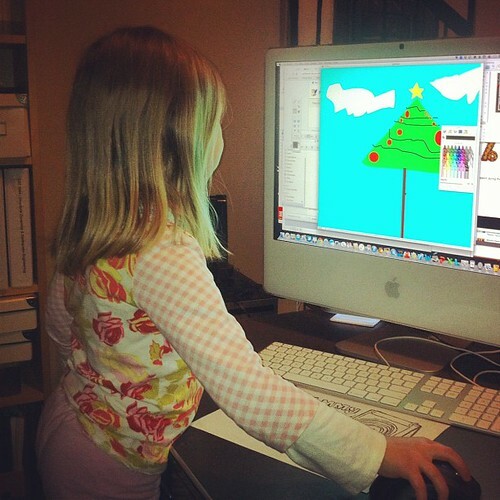 She then worked on all the steps methodically. 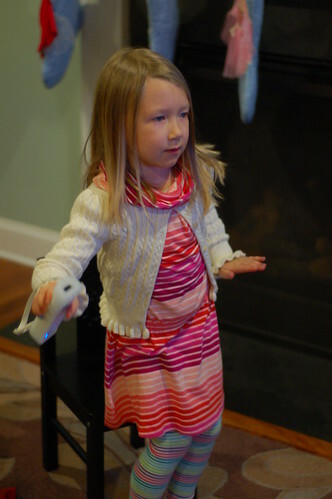 This kid loves Wii dance games.